Impact Hub Austin’s Affordable Housing Accelerator cohort announces a public event to celebrate the end of their three-month accelerator and showcase the progress of companies in the cohort. This public event, “Community Showcase Day,” will take place Jan. 24, 2018 from 6-8 p.m. at Impact Hub North Lamar, located at 5540 N Lamar Blvd, Austin, TX 78751. The event is free and open to the community, and will feature the nine groups in the cohort and what they have accomplished in the past three months. Event sponsors include Google and Chase (presenting sponsors), BuildFax, Noble Capital and Portfolio Resident Services (supporting sponsors), and the Austin Board of REALTORS®(contributing sponsor). To RSVP for the event, please see here. The Affordable Housing Accelerator is composed of several companies that focus on policy, innovation and financing to keep Austin diversely weird and affordably engineered. The cohort includes Affordable Central Texas, All Abode, Alley Flat Initiative Anti-Displacement Program, Developods, Farm & City, ICON 3D, Sprout Tiny Homes, The Auditors and Triple Bottom Line Fund. On “Community Showcase Day,” accelerator participants will present their solutions to a room full of investors, subject matter experts, entrepreneurs and leaders from government, nonprofit and business sectors. Participants benefit from Impact Hub’s strong network of organizations and experts working in Austin’s housing sector, as well as one-on-one intensive coaching, a peer cohort model and expertly developed sessions created to produce sustainable solutions to Austin’s affordable housing issue. Affordable Central Texas seeks to preserve affordable housing for Austin’s workforce earning between 60-120 percent of MFI. They have secured $200,000 in funding and recently participated in a press conference at City Hall with Wells Fargo. All Abode‘s mission is to make micro-housing and micro-communities mainstream; the group has begun shifting to a community portal that provides an online environment and united market place that intuitively guides lot and land owners thru the ADU building process and connects them to vetted ADU and urban infill builders. The aim is to simplify affordable infill housing-site acquisitions, increase targeted transactions, provide marketing and lead generation services for builders. Alley Flat Initiative Anti-Displacement Financing Program helps low and moderate income homeowners (80 percent MFI) stay in place while increasing the stock of affordable family-friendly dwellings for Austin’s working class. The group has created a program that can help low and moderate-income families stay in their neighborhoods, while increasing the stock of affordable family-friendly rental dwellings within the city. Developods presents stronger, adaptable, transportable, housing solutions that are environmentally friendly and safe. These “pods” take 40 percent less time to build and cuts costs by 35 percent. Developods has secured space in The Yard to showcase a unit model. Farm & City is a recently launched non-profit that is actively influencing Texas public policy. Farm&City’s current project, “Growing Weirder” aims to empower the people and leaders of Austin with better understandings of our options for growth through a series of reports, events, and and waves across the public debate. Farm&City is currently looking for visionary sponsors for 2018 events to highlight thought leadership and data to support a more affordable, healthy and walkable Austin region. ICON utilizes 3D printing to automate cement-based construction on site to make constructing buildings safer and less expensive. The group is looking to close a $50,000 convertible note (with 25 percent discount) by Jan. 15 to close out the first up-to-code 3D printed home in the United States. Sprout Tiny Homes uncovers new and innovative ways to build and install tiny homes for attainable housing, workforce housing, income producing properties such as tiny home hotels and resorts, as well as public private/partnerships for underserved communities. This “Tiny Home Industry,” with products including tiny homes on wheels and tiny homes on foundations, is in need of a scalable solution to long term 15-30-year financing on homes for buyers. The industry opportunity next year is in the $200 million to $300 million range and the company is looking to start a dialogue with financial institutions that may be able to craft a solution to this market need. The Auditors‘ Affordable Housing Audit is a collaboration between members (Alexis, Leon, Jessie) of the Austin Hub of the World Economic Forum Global Shapers and faculty (Amanda) from Huston-Tillotson University to address the lack of centralized resident-focused data on Affordable housing projects. The group has successfully led their first community listening session with 12 community stakeholders from schools, churches, development nonprofits, and affordable housing ecosystem supporters, and has presented their resident-focused framework and a preview of research findings at the Front Porch Gathering with UT-Austin’s Division of Diversity and Community Engagement. 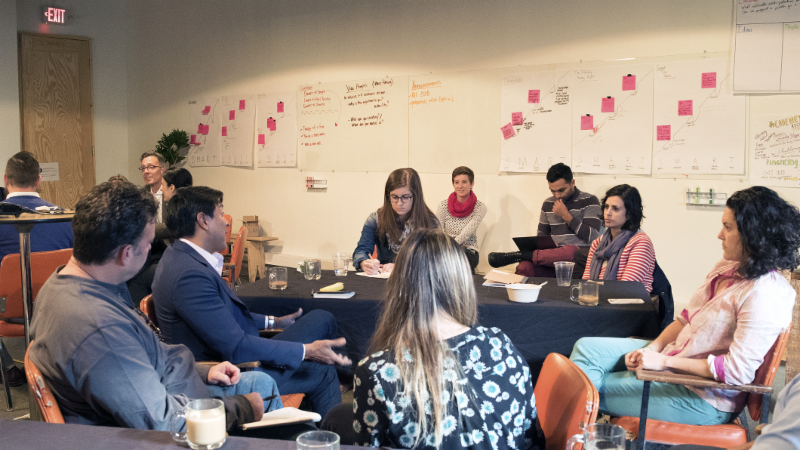 Impact Hub Austin offers a powerful combination of mission, community and space to support game-changing ideas for social impact. 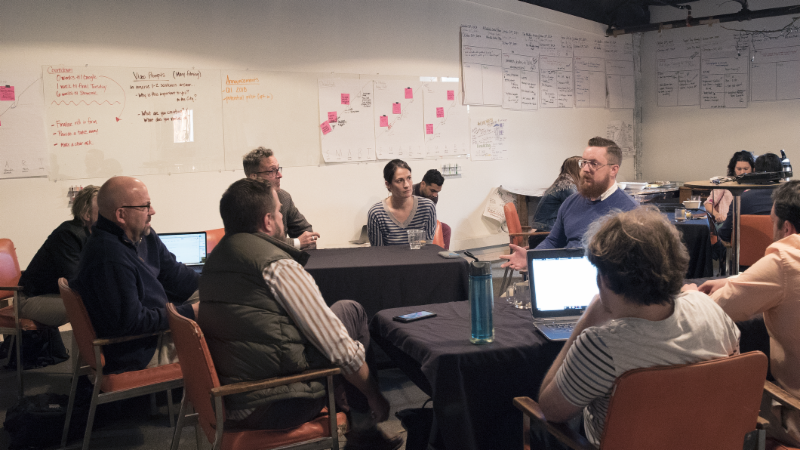 At once an inspiring coworking space, incubator and community hub, Impact Hub Austin connects local entrepreneurs and creatives to a global movement for good. To learn more about the Affordable Housing Accelerator (AHA) or Impact Hub Austin, visit www.impacthubaustin.com.